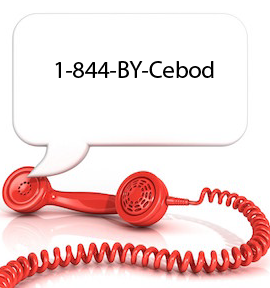 Sky rocket your new startup with help of toll free numbers: Cebod telecom "
Toll free numbers are one of the most important marketing tools that help the business owners to increase sales as well as revenue. A toll free number like 1-800 definitely gives a business a boost in terms of market competition. The Do Not Call or Do Not Disturb rule is required to be restrictedly followed by all companies. Customers do not like being disturbed by unwanted calls throughout the day. This also spells disaster for the company itself. A toll free number does the trick and solves that problem. In this case, the company does not call the customer- the customer gets in touch with the company is case of any queries. A Toll free number is one of the best options for a new start up business where customers would be interested to call. Why a toll free number helps small business? Some of the greatest challenges of a small business set up is to increase customer sales and revenue. They also need to advertise their company so that there are maximum numbers of footfall. Advertisements in newspapers and the media can do the trick. Another way to increase revenue is by using toll free numbers for varieties of advertisement campaigns. A toll free number means that customers would be pouring in with queries and suggestions. These customer calls can be tracked and recorded as well. A business needs to know how many customers called, their feedback and how they can improve services. A virtual toll free number can also help in recording greetings from companies so that customers can know more about the business. A toll free number is sure to acquire more customer satisfaction. It is very important for a small startup business to know what the customers thinks about it, how they can improve themselves and what the ways of increasing sales and revenue are. All these information can be gathered with the help of a toll free number like 1800. When considered from the psychological point of view, a toll free number would be dialed by number of customers as they are free. Again, thinking from the other side, businesses would get more calls from customers. Keeping this into consideration, all small business set ups should implement toll free numbers. What are you waiting for! Contact your local phone service provider and get a toll free number for your company today.